ARCHIVED Opening night at Summit Artspace on East Market to see the High Arts Festival visual art, Sept. 15! 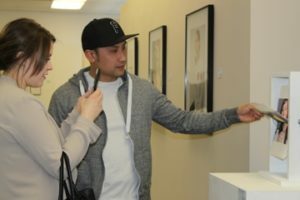 You are here: Home / ARCHIVED Opening night at Summit Artspace on East Market to see the High Arts Festival visual art, Sept. 15! Kick off High Arts Festival with a party outside of Summit Artspace. Enjoy live painting, music, dancing, cash bar, food trucks and more! 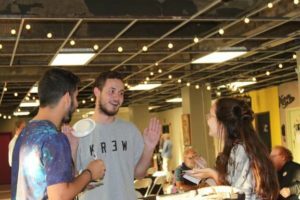 Visual Art entries will be viewable inside Summit Artspace from 5-10 p.m. DEEP HOUSE DISCOTECH with DJ Mind-E, DJ Naeno, DJ Moonhawk. Live entertainment and Deep House Discotech by TVTX Productions. 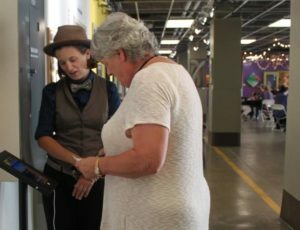 Akron Art Prize is transformed into the High Arts Festival by adding music and film categories in addition to visual art. 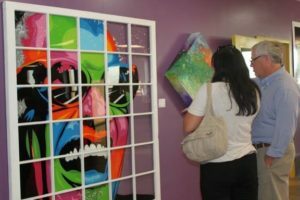 Summit Artspace on East Market is proud to continue to work with the Downtown Akron Partnership as your destination to see the amazing visual art submitted for the festival. The High Arts Festival will elevate the artistic excellence of the arts community through peer-to-peer assessment, connect new audiences to local art and individual artists, and increase the awareness of the vibrant artistic hub that exists in Downtown Akron. The public will continue to vote for favorites in each category via a mobile app or kiosks in participating venues. The event is sponsored by the Margaret Clark Morgan Foundation and made possible by the John S. and James L. Knight Foundation’s Knight Arts Challenge. 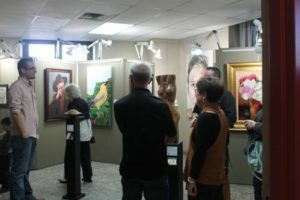 Up to 200 visual art pieces at Summit Artspace Thursdays through Saturdays from 12 to 7 p.m.
Up to 50 musical entries with performances at Jilly’s Music Room, Musica and Uncorked Wine Bar Thursdays, Fridays and Saturdays from 5:30 to 8:30 p.m.
Up to 60, :60-second film entries at The Nightlight Saturdays at 4 p.m. and Sundays at 7:30 p.m. The new High Arts Festival app will be available from the Google Play Store/iTunes Store in September. Through the app, you can register to vote, explore all of the entries and vote on your favorite art, music and film throughout the event. The finale reception and awards presentation on Oct. 7 will be held at the Akron Art Museum. A total of $24,000 will be distributed to winners with the overall top vote getter in each discipline receiving $5,000. Additional levels within each genre will have awards for runners-up and juried prizes. Follow the High Arts Festival on Facebook to stay up to date and share your experiences – and with #HighArtsFest17 on Twitter and Instagram.